The Elmasonic EASY series includes 9 units of different sizes and is characterized by simple, user-friendly operation. With 100 % ultrasonic power at a frequency of 37 kHz, the Pulse function and visual warning (when bath temperature reaches the set limit), the Elmasonic EASY solves typical cleaning tasks in the dental practice and dental laboratory quickly and efficiently. The activatable Pulse function is suited to remove tenacious, mineral soiling and polishing pastes. The ultrasonic power is increased up to 20 %, so that any soiling will be removed easily and quickly. 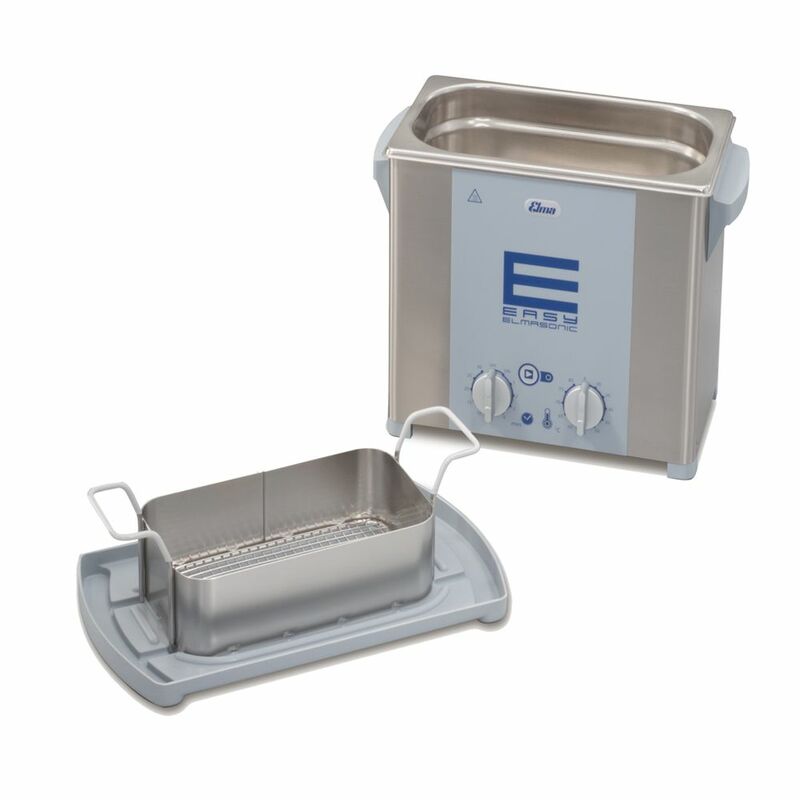 The Elmasonic EASY units are available in 9 different sizes, all with stainless-steel casing. They are equipped with higher unit feet, which improves the protection of the electronics against splashwater. From the EASY 30 H upwards the units are equipped with a heating and from the EASY 60 H upwards they have drain duct on the rear. Furthermore the Elmasonic EASY units are covered by the “Elma Commitment to Quality” with 2 years warranty and replacement guarantee for the first year following date of purchase.